Jasmine Gonzalez, a 22 year-old mother from the Bronx was found stabbed to death in a park July 5, early Sunday morning. 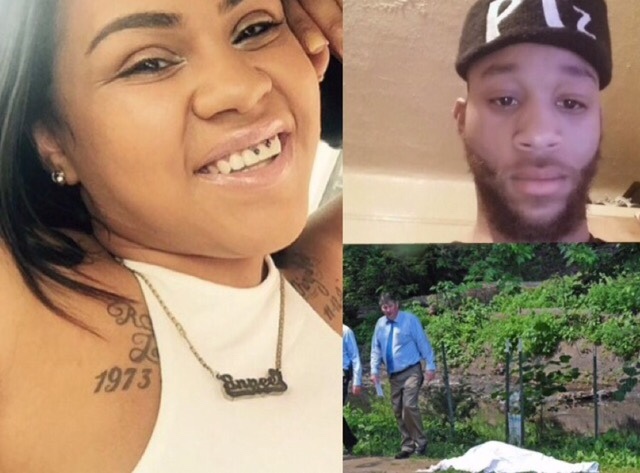 Her ex-boyfriend, Khiry Borden, 25 is being charged with murder, manslaughter, and weapons possession after he called the police claiming he stumbled upon the corpse while walking her families dog. "Borden was taken into custody after police found his book bag, containing bloody clothes, in the Gonzalez family home just seven blocks from the park, relatives said. He came back here while everybody was sleeping. He changed his clothes to a new set of clothes he had in his bag,” Gonzalez’s sister, Jayselle, told the Daily News. The sister said police found Borden’s book bag behind a curtain in the living room of the family’s E. 225th St. house. Inside it were a pair of bloodstained jeans and a towel, along with an empty package for kitchen knives, Jayselle Gonzalez said.After hiding the bag, the ex-beau woke up the victim’s mother, the grieving sister said. Police said Jasmine Gonzalez, whose body was found in the park near E. 226th St. and Bronx Blvd., was stabbed multiple times in her midsection. She was pronounced dead at the scene. Gonzalez’s inconsolable family rushed to the park from their house when they learned what happened ..."